Ready To Sell My House Fast In Oshawa, ON? We’re Ready To Buy! We Have The Funds Ready So You Don’t Have To Wait On A Financing Decision. Need to stop a foreclosure or Power of Sale? How To Sell My House Fast In Oshawa, ON. How can I sell my house fast in Oshawa? Well, first you find a buyer who has enough cash that they don’t even need financing. Frankly, that’s who we are. We can give you an All Cash Offer. Paying with all cash makes our offer super strong. Discover How We Work Differently At GTA House Buyers. When you call us or submit the short form below, we’ll quickly give you a fair all-cash, no-obligation offer on your Oshawa house. We help many Oshawa homeowners who are facing tough situations such as foreclosure, divorce, death of a family member, difficult renters, expensive repairs, and many others. We can help because we buy houses fast with cash. We give fair offers and can close in a few days. So you can sell my house fast in Oshawa, ON. 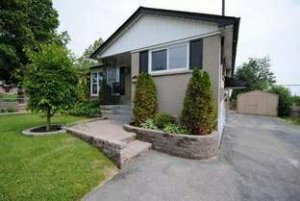 Would An Investor Buy My House In Oshawa For Asking Price?